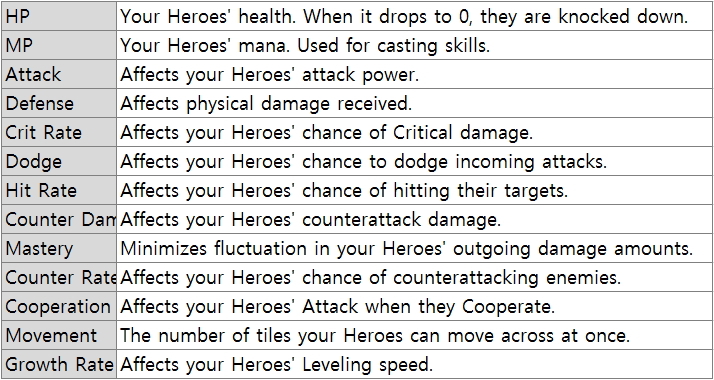 Your Heroes have various stats. It's important to understand each stat and increase the right stats for each Hero. What the heck is Damage then??? Increase the right stats how? Don’t they just increase randomly after leveling up from doing battles, subjugation, and exp synthesis? Please explain about Direction strategy power?? ?